Windsor Companies has been serving residential and commercial clients’ landscaping needs for more than 40 years. From lawn care to complete corporate campus supervision, we have the knowledge and capacity to guarantee that your property strengthens in value. Windsor Companies began as a retail garden business and design-build contractor. It has grown into a complete landscape design, installation, and property maintenance organization with a diverse certified team. In 2007, L.A.C. Enterprises, Inc. purchased Windsor’s assets and hired its employees. This new management structure is bringing renewed energy and additional resources to the company. We have spent decades designing, constructing, and maintaining landscapes for a variety of clients. We have worked with an extensive array of clients including commercial business, government agencies, property managers, architectural firms, and residential building owners. Our goal has and always will be to bring a top-notch experience to each of our clients. 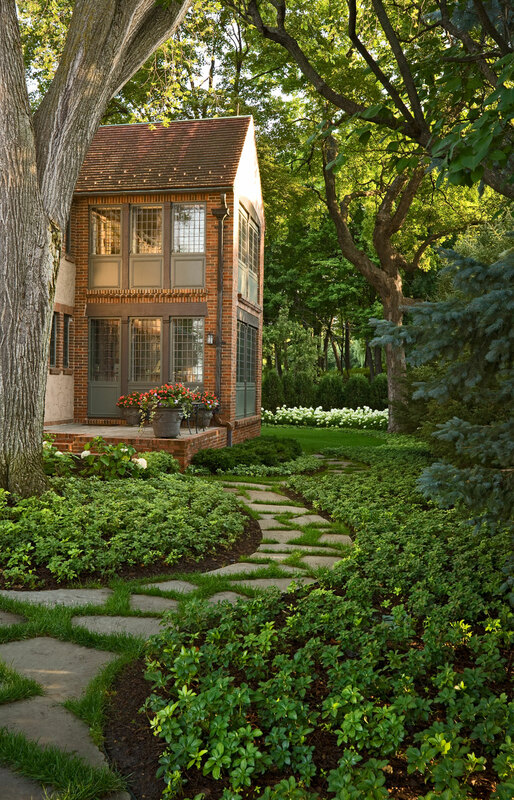 We want to enhance their business with the best landscape design services in the Twin Cities! Terry has been a business owner in the landscape industry for more than twenty years, including having founded two companies. Terry is an enrolled member of Muscogee Creek tribe, making Windsor Companies a state-certified Minority Business Enterprise. Luther founded Windsor Companies in 1971. For 20 years the business included a premier garden center and floral and gift shop. With unmatched dedication to superior client service and devotion to detail, he has produced designs and overseen construction for hundreds of projects.Luther takes great pleasure in the satisfaction of his clients, his erratic golf game, his eight grandchildren and the support and stability of his better-half, Geri. Greg joined Windsor in 2004 with ten years of management experience in the landscape industry. He holds a Masters in Counseling Psychology, which gives him a particular skill in employee management. With a talent for hiring and developing great people, Greg has grown Windsor with highly skilled team members across a range of landscape disciplines. Individually, he has developed an expertise in arboriculture, innovative construction practices, and turf management. Christopher Ochs is an award-winning landscape designer with Windsor Companies. He has a Bachelors degree in Environmental Design and holds two Master degrees from the University of Minnesota in Landscape Architecture and Urban & Regional Planning. His younger years were spent in the eastern plains and western steppe regions of South Dakota until 1980 when he relocated to the Twin Cities of Minnesota. than happy to walk you through the process.